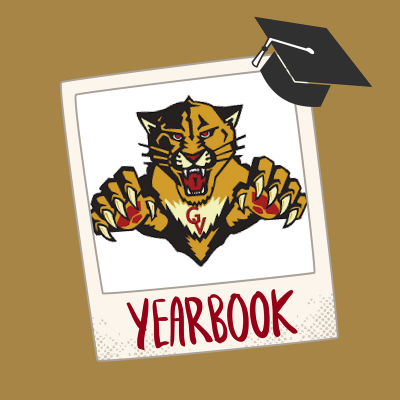 As your student’s time in high school quickly draws to a close, the GVHS Yearbook staff wants to provide you with important information regarding this year’s Yearbook. First, the Yearbook is still available for purchase. The cost of the Yearbook is $85 from now until January 1st, then the price will go up. There is always a $5 discount for students with ASB. All Yearbook sales can be made through the GVHS Bookkeeper (209) 325-1864. We also have payment plans available. Contracts for payment plans can be picked up from Mrs. Pedrozo in Room 308. You can pay as little or as much as you want as long as the book is paid in full before the book arrives in May. Make sure to purchase your yearbook sooner rather than later since we sold out last year. Secondly, we encourage you to commemorate your student’s achievements and high school experience by purchasing them a Senior Dedication Ad in the Yearbook by March 1, 2019. Payment plans are also available for Senior Ads but must be paid in full before the March 1st deadline. *Note: these are also the same prices, dates, and processes for advertising a personal business in the Yearbook. You can design your own dedication page on the Jostens Website. Aurasma is an app feature that allows us to embed a video that can be accessed thru a free app from the printed Yearbook pages. You can record a short personalized video message (up to 100MB) for your child (or business), and it can be activated via your dedication/ad page in the printed Yearbook. This feature is free with the purchase of a whole page. For all other page sizes, the cost is $10. Payments can be made through the GVHS Bookkeeper. We also offer dedication and personal business ad page-design services by our Yearbook design staff: you send us the elements (photos, text, ideas, etc.) and we design a unique, high-quality page for you. This service is $15. Please share all videos as .mp4 or .mov files and images as .jpg files via email to: hpedrozo@muhsd.org and be sure to include your child’s name, school ID #, and whether or not the dedication page and/or video is a surprise to them (we’d hate to ruin it by asking them questions).